Starting its days as a platformer known as The Great Giana Sisters on the Commodore 64, following a remake in 2009 and sequel in 2012. Black Forest Games are now looking to evolve the recent revival with a racer, however does it manage to cross the finish line in style? 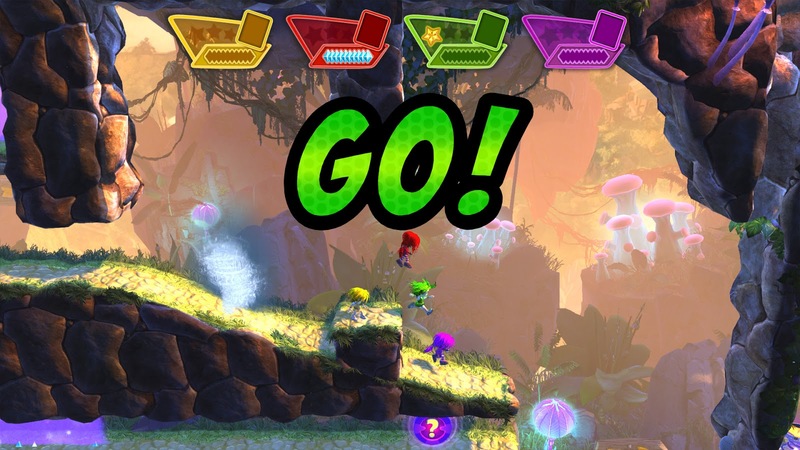 Giana Sisters: Dream Runners is a fast-paced, head-to-head platformer that can be played with up to four people. 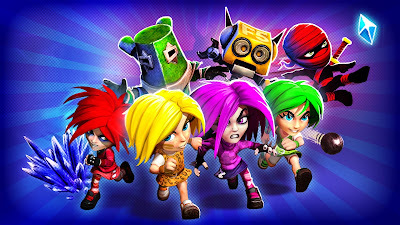 The game was released recently on Windows PC, Xbox Live and PlayStation Network. The game starts with you picking one out of seven characters and then choosing one of the stages to run on. The goal? Simply to make sure you dominate the competition by staying in the lead and there are a few ways that you can do this. 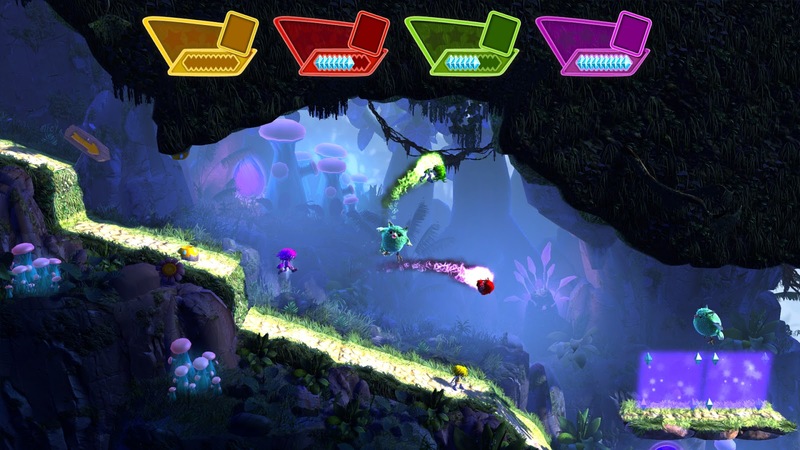 Firstly the stages themselves give options for you to make it hell for your opponents such as switching platforms or activating traps. This can really slow down the momentum for the other racers and in some cases, give you a huge lead. 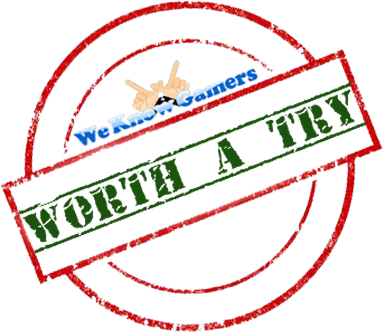 Other bits that can cost you the lead include the twisters you can run in to, spikes and enemy AI, all of which need to be avoided apart from the AI which you can actually attack. You can also time the racers out by staying in the lead until the clock ends, so you are given quite a few options here. Now the one mechanic that gives the most competition are the power ups that you can get. These give you boosts at random, so you can't choose what to get, however they can really help out if you find yourself falling behind. My favourite would have to be the switch (I call it the switch, as I am unsure of the skill's actual name) where you can literally switch with the opponent in front of you. A great way to get yourself out of last place and can insure your friend is left utterly defeated. Lastly you can also give yourself a short boost of speed to play catch up, however this can't be used often. so choose wisely when to pull it out. All these factors together can make for some entertaining races and while there is an online component which I'll get into in a moment, I believe the local Co-Op is where it shines best, as there is nothing better than trash talking the group of friends you just dominated. So, along with the offline races, you can also take your skills online and challenge the world. Unfortunately I couldn't get many games in as it kept claiming that the "servers were full" which at first made me think that there were a bunch of people online, however once I finally got in that didn't really seem to be the case. My online challenge was unfortunately only against one other person, however it was still enjoyable nonetheless. I didn't experience any problems in terms of lag and the race itself was quite competitive. Giana Sisters: Dream Runners is a fun game when playing with others, because that is where the real competitive spirit shows. While it has the features to make it enjoyable, I felt that a lot more could have been added to expand on it. Its a shame that I couldn't get many online games in as it was quite difficult to actually get into a lobby, however if this is a premise to further games down the line, it has a good basis to start off.